The T350-CR-E is the latest addition to our symphonic tenor lineup. This instrument is built around a conventional rotor valve system and our harmonic pillar brace. It furthers our common sense approach to providing customers with a variety of options without sacrificing sound and playability. The CR-E blends aspects of our workhorse T350-E with Getzen's Custom Reserve Tenor developed by Christan Griego. Its enhanced rotor has been improved with tweaks to port diameters, rotor passageways, and back plate inserts. This is not the same valve used on the original T350-CR model. The valve wrap allows the air to always "step" in the right direction. Couple that with just the right amount of nickel and brass in the bracing, and the end result is a horn capable of achieving the sound for which Edwards is known. This instrument comes with a uni-harmonic pillar brace. Similar in concept to the harmonic bridge found on the T396-A and the T350-HB, this brace allows for a single harmonic pillar to be added to the horn in order to fine tune its sound and feel. The CR-E is available with 8" or 8½" bell flares in a variety of wall thicknesses and tempers with either soldered or unsoldered rims. In addition, you may choose from yellow, rose, or red brass with a clear lacquer finish. 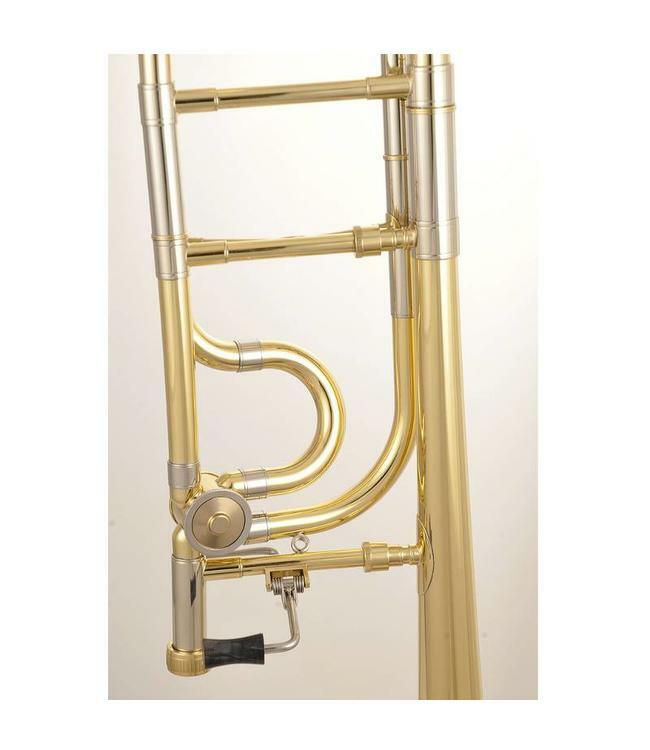 Single and dual bore slides in standard weight and lightweight configurations include three brass leadpipes. Custom leadpipe options are also available in silver and brass. Finally, changing tuning slide material and design can have a profound effect on instruments. Edwards has many tuning slide options available on request. The T350-CR-E's valve system will fit with all existing T350-E instruments. However, bell tabs will either need to be removed or filed down in order to work with this valve set.